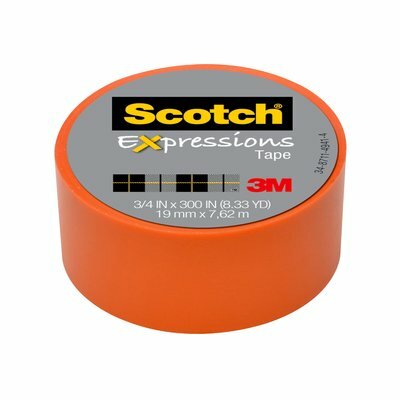 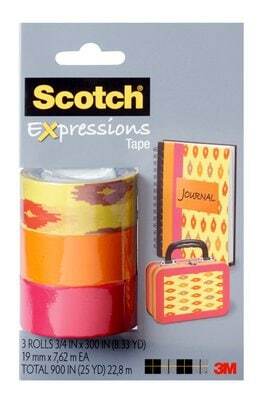 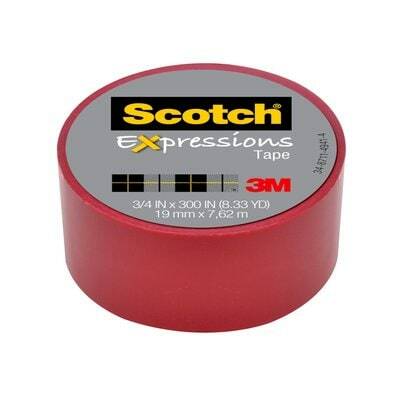 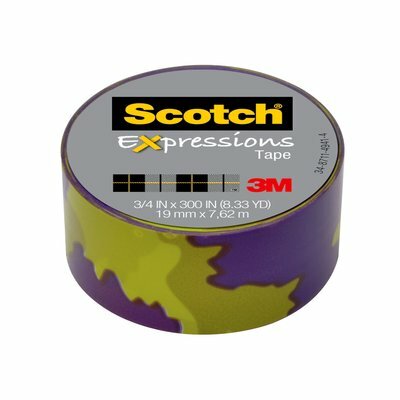 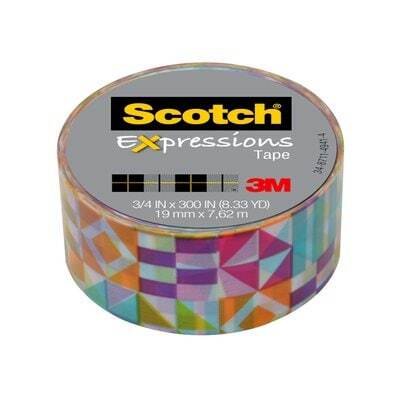 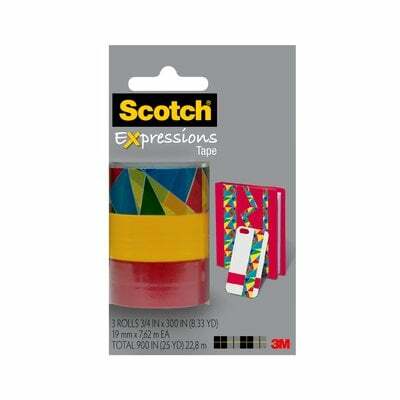 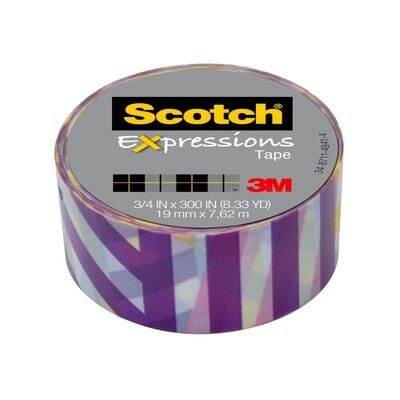 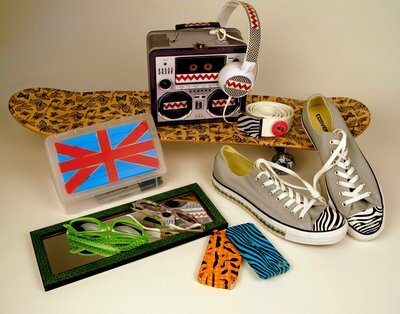 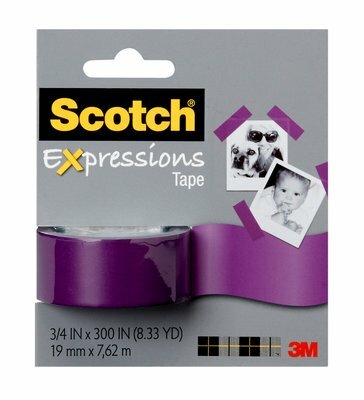 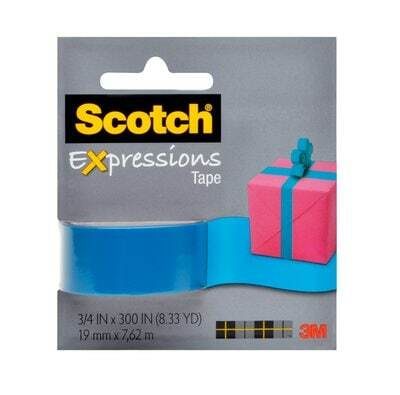 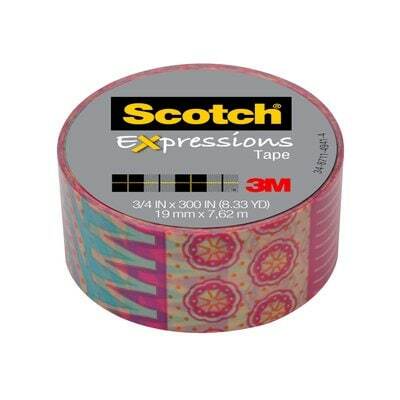 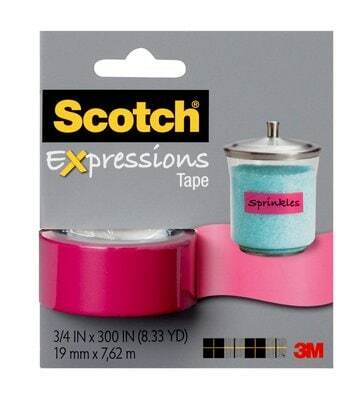 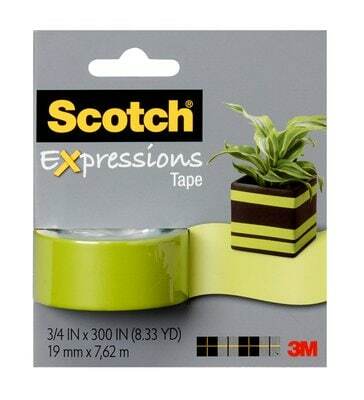 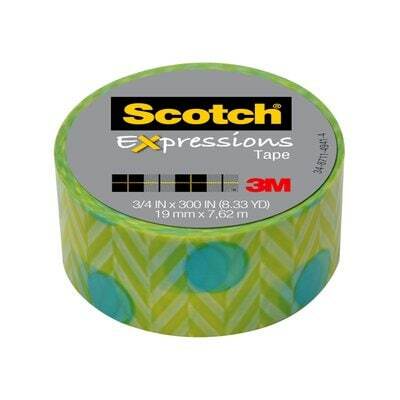 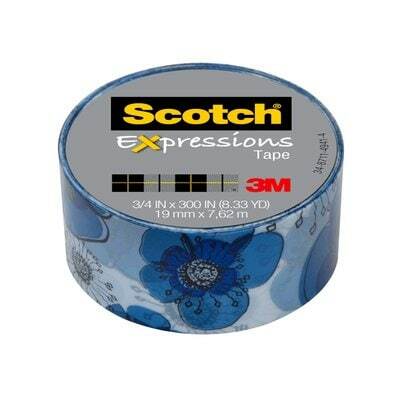 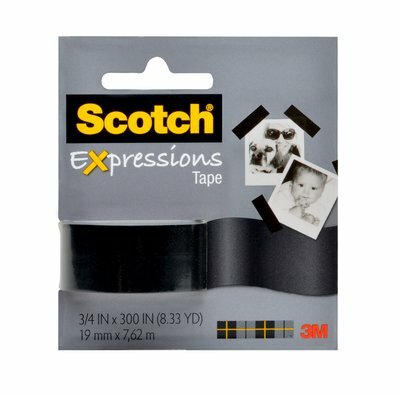 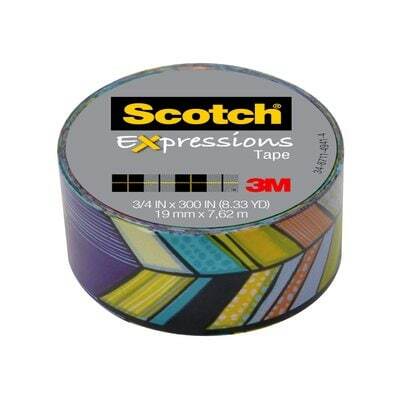 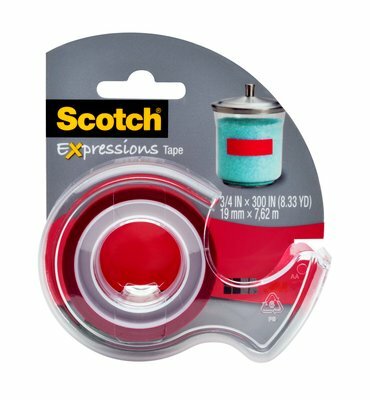 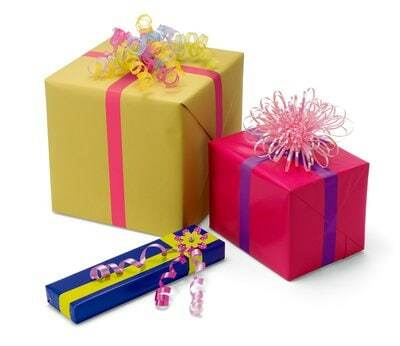 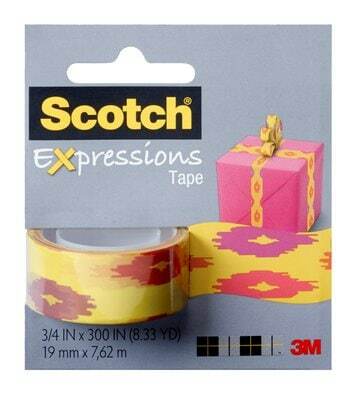 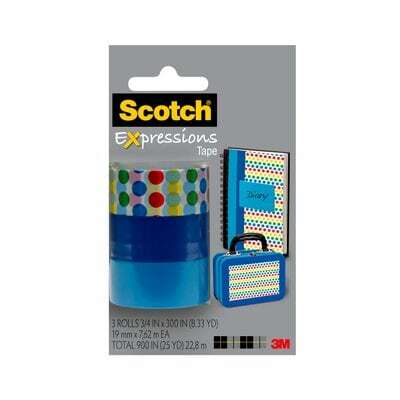 Scotch® Expressions Magic(TM) Tape comes in a variety of colors so you can decorate and personalize your projects. 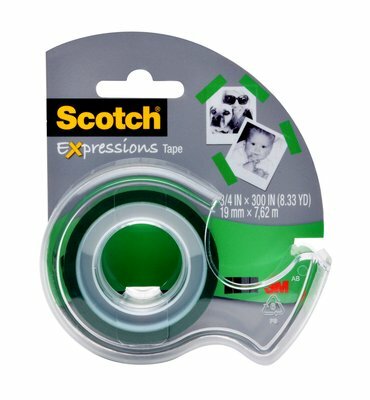 It features a unique adhesive that holds paper securely, yet is easy to remove or reposition. 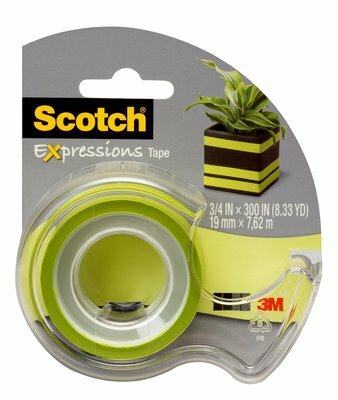 Available in 3/4" length. 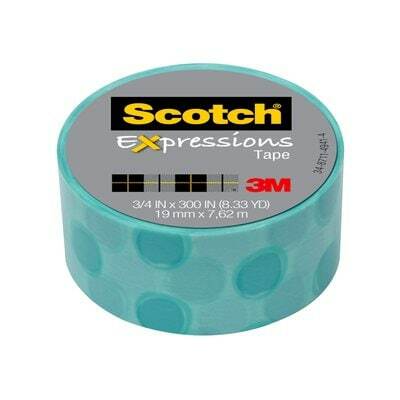 Scotch® Expressions Magic™ Tape is rated 4.7 out of 5 by 78. 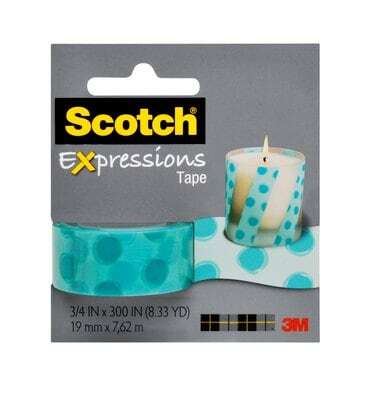 Rated 5 out of 5 by Mommy from I gave this product to my 14 year old daughter, She had fun decorating with it and loved the pattern. 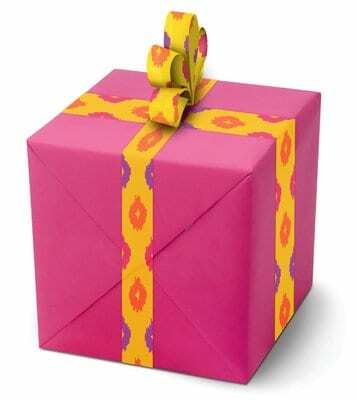 We will definitely buy it again. 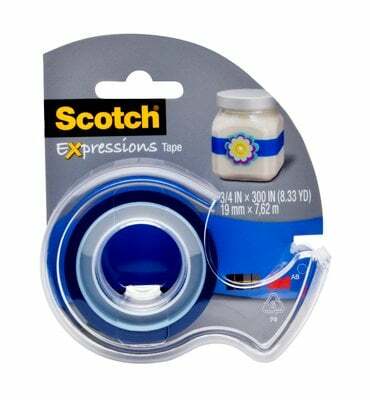 Rated 5 out of 5 by Anonymous from Received sample in mail and used it right away on my clear craft boxes. I can put the tape on the boxes as a label because I can write on it and when I finish a project I can remove the tape and relabel the box. 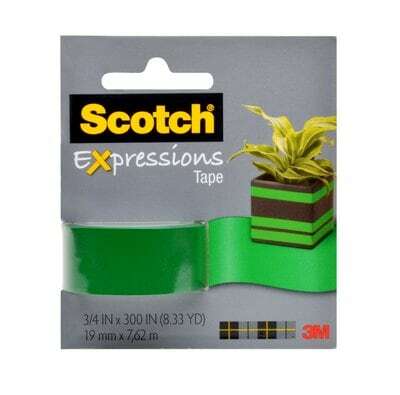 Comes off easily and doesn't leave a sticky mess behind. Rated 5 out of 5 by Anonymous from scotch expressions packaging tape i received the product free from 3M to evaluate it.i love it so much! 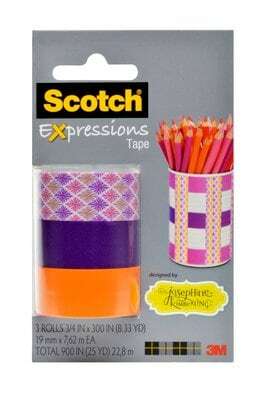 it sticks great and it's awesome for crafts as well!!! 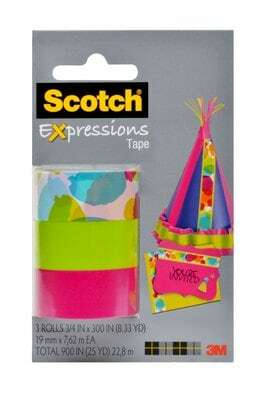 Rated 4 out of 5 by Camille G from Fun tape and easy to use! Scotch Expression Magic Tape is a different than the washi tape. 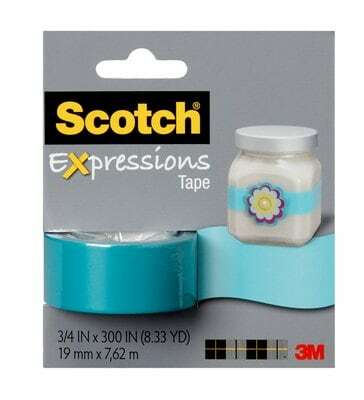 It like their regular clear tape but decorative. 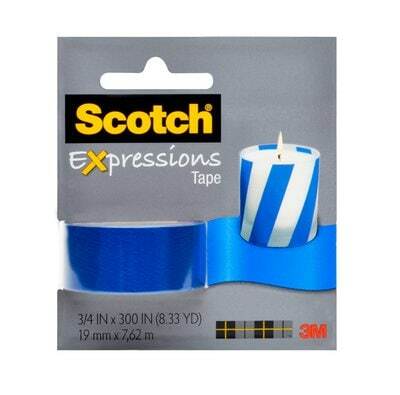 In some ways the magic tape is better because it sticks longer. 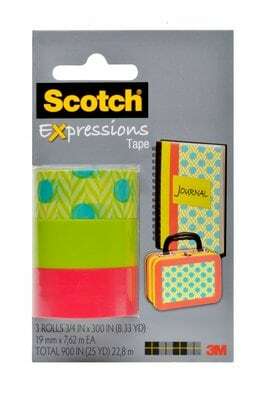 I decorated my daughters binder with this tape and some washi tapes. 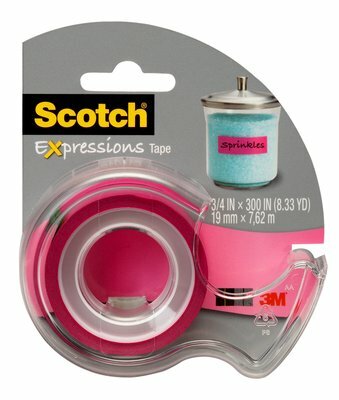 The washi tape comes off faster. 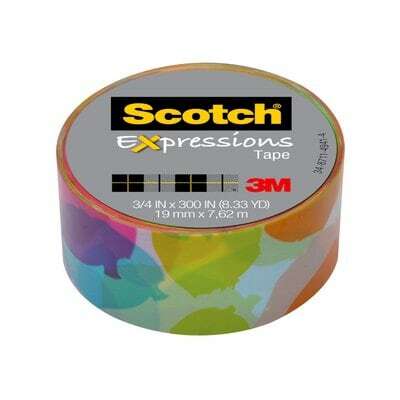 The magic tape is still there. 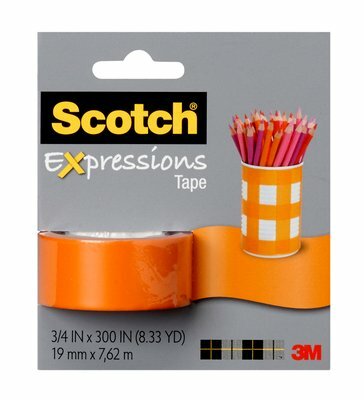 I've also covered ordinary pens with the magic tape and its still working and looking great. 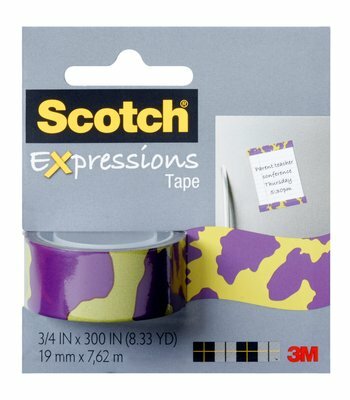 However, the magic tape is more see through so you can't really put it over a patterned item unless you want some of the pattern to show through or if you want to use several layers. 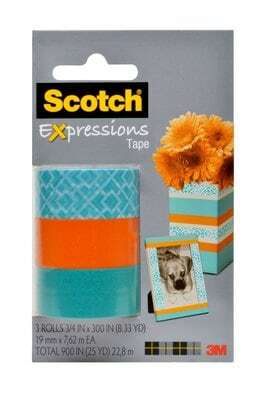 I use it with solid background items. The pens we used were a dark blue so the design looks darker than it does on the roll. 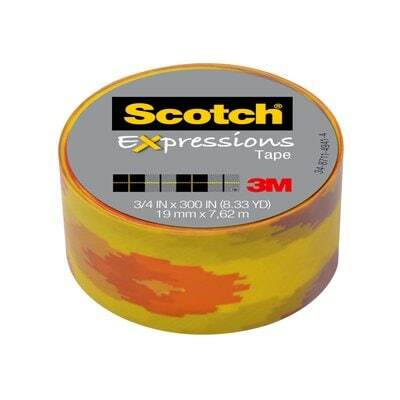 I recommend it though and will be buying it in the future. 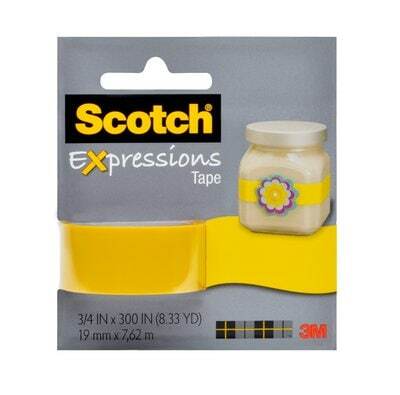 (3M did give me a free sample of this product to evaluate but I have also bought some of my own). 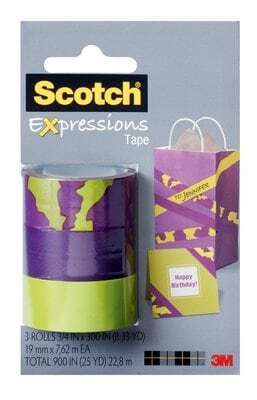 We also decorated notebooks with this tape. 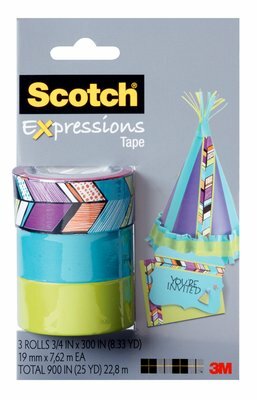 We covered the notebook with scrapbook paper but used the expression magic tape to secure the edges instead of just the normal. 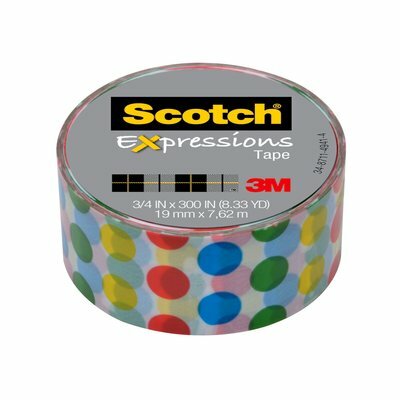 I did this with a group of 40 and they all loved it. 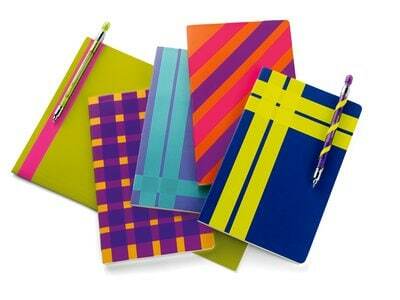 It was a lot of fun and the notebooks are great! 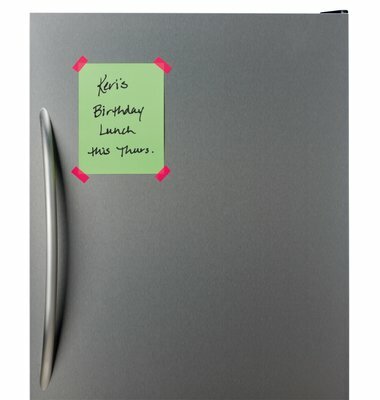 Rated 5 out of 5 by Anonymous from Love it! 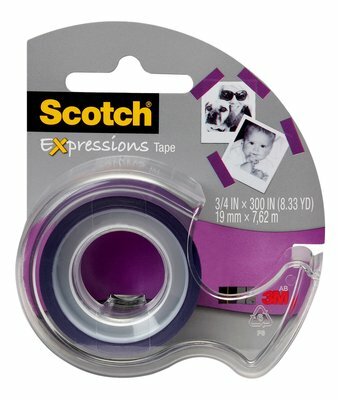 I love the use of the Expressions Magic Tape, which is what I wanted long ago! Now I can place different colors on containers and not worry about the background showing through! 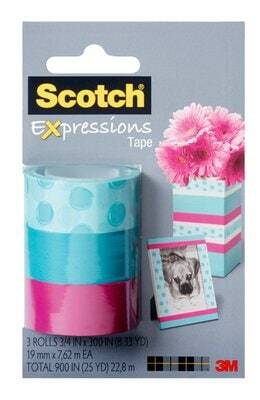 And I like the fact that it is easily removable in case I make a mistake; and can fit into the regular dispensers! Rated 5 out of 5 by Cassie L from Snazzy Tape I absolutely love this tape because it has all sorts of snazzy patterns and it fits in my Scotch tape dispenser! 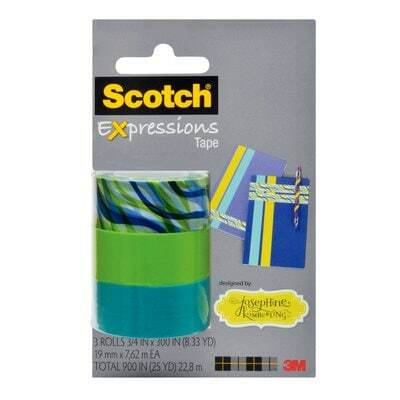 I have used this to colorfully bookmark pages in books and magazines as well as to post things up at work and home. I will definitely purchase more! 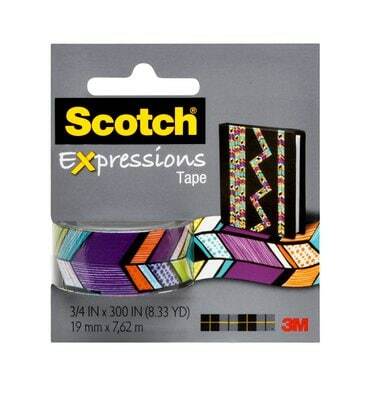 Rated 5 out of 5 by angel from Love it Thank you got this sample great tape and colorful too. 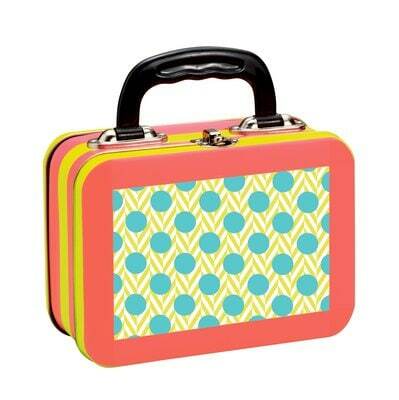 Rated 5 out of 5 by Anonymous from my freebie I just got my freebie and I love it. 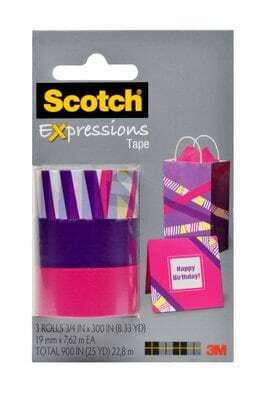 I use it on gift wrapping, and my daughter uses it to decorate her binders for school.